Can you help create #lastingchange with Team Honk for Sport Relief? This is a Bertha. She is a food producer in Dar es Salaam who has received support from the Gatsby Trust. Bertha makes three different types of wine, garlic paste and a flour used to make porridge. In addition to making products she is also now training other women to do the same. Bertha works from a processing plant that she built herself at the back of her property, with room dedicated to each part of her business. 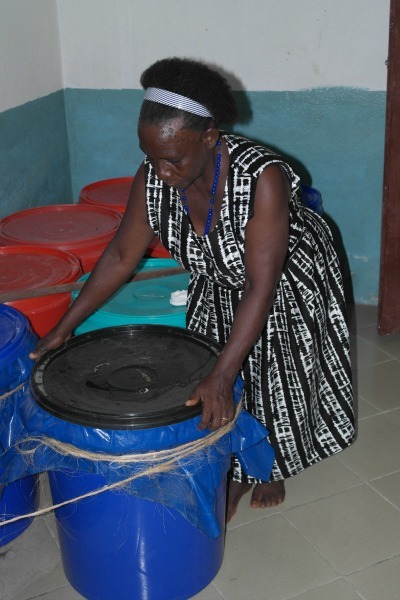 How can you help inspirational women like Bertha? GET INVOLVED Join up for your local Sport Relief event here. Perhaps you could write a blog post about what you’re doing to support Sport relief? I enjoyable read and I have more than a few similarities with you likewise re backing a trailer and struggle with technology and marvel at how much better the kids are than me have only just got the hang of facebook you are a mile in front of me re twitter well played you ! Howdy my own loved one! I must say that benefits and drawbacks amazing, wonderful published and include somewhere around all important infos. I would like to notice added discussions such as this .